A trustee’s failure to give a beneficiary a copy of the trust after the beneficiary requests it is an expensive mistake. 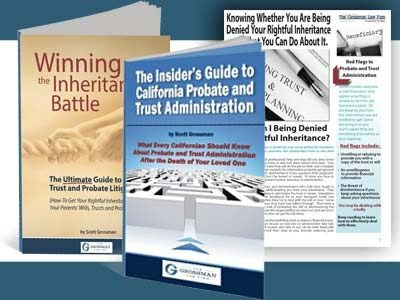 A beneficiary or heir doesn’t automatically get a copy of the trust. 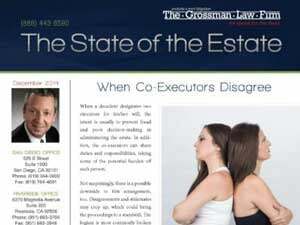 Each beneficiary and heir is entitled to notice when a trust settlor dies and there is a change of trustee. Once the beneficiary or heir asks, in writing, for a copy of the trust then the trustee must provide a copy of the trust and all of its amendments within sixty days. Once those sixty days have run, the beneficiary can petition the probate court to compel the trustee to provide a copy of the trust and its amendments. The beneficiary can also ask for attorney’s fees and court costs for having to file the petition. 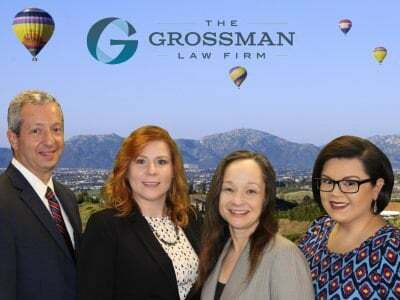 California law does not put any cap on the attorney’s fees and costs. This means the longer the trustee fights having to provide a copy of the trust the more it will cost the trustee when he or she loses. Whatever amount the court awards for fees and costs is payable by the trustee personally. The trustee can’t use trust funds to pay. My client’s recent experience exemplifies just how foolish it is for a trustee not to respond to a request a copy of the trust. My client’s mother had died a few years ago. She said she had never gotten a copy of the trust but had received part of her inheritance. She now wanted a copy of the trust and an account. We made a written request and waited sixty days. During that period the trustee wrote me saying my client had gotten her full inheritance but he didn’t provide a copy of the trust. At the end of sixty days a petition to compel the trustee to provide a copy of the trust was filed. The trustee didn’t fight about having to provide a copy but he did fight having to pay for failing to do so earlier. This resulted in several court appearances and a short hearing before the probate court judge. He ruled for my client and ordered the trustee to pay over $3,000 in attorney’s fees and court costs. He wrote a check from his personal checking account. That was one expensive mistake that could have been avoided by paying about $2.00 in copying costs and postage.